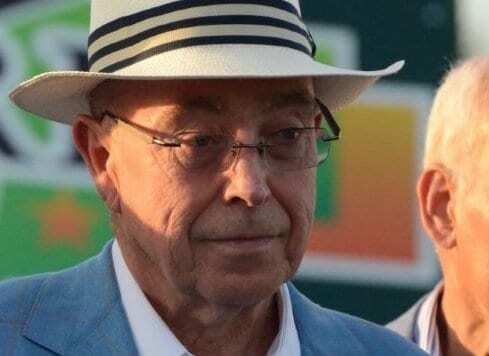 Canadian Hall of Fame trainer Reade Baker announced via Facebook on Tuesday that he will be embarking on a new career in the bloodstock industry. “It's time for a new challenge,” Baker wrote. The Sovereign Award-winning trainer in 2005, Baker's training career has spanned 13 champions, two Horses of the Year (Fatal Bullet and Biofuel, and 128 stakes winners. He also spent time as a jockey's agent and as a racing manager, the latter overseeing the championship career of Afleet. This entry was posted in People and tagged afleet, bloodstock agent, canada, canadian hall of fame, facebook, horse of the year, Reade Baker, sovereign award, trainer by Paulick Report Staff. Bookmark the permalink.